YOU have to stay on your toes in the motoring business with the constant jostling for position meaning any failure to keep your offerings in the present will ultimately affect the bottom line. Volkswagen has been in the game a long time and has become quite adept at reading the market and placing itself in the best light to capitalise on that. With the release of the new CC the German manufacturer is hoping to remain forefront in the mind when buyers make that all-important decision about a new car. No doubt you remember the CC as a member of the Passat range but Volkswagen has decided to push it out on its own allowing it to shine without constraints. The CC still shares the same technical details as the model it replaces but the designers have opted for a more pronounced look mirroring the long graceful lines of those sporty two-door European coupes that originally inspired its development. The interior of the CC is immediately recognisable as a Volkswagen, a luxury interpretation of a VW mind you but one all the same. The dash has been tweaked with different air conditioning panels and soft-touch plastics have been used in a more generous fashion. The Germans are firm believers in function over form and that is plain to see here so while all the instrumentation is well placed and easy to use, fixtures lack that sparkle quality. Still if comfort is the name of the game then we can't fault the CC with supportive cushiony seats which are easily adjusted to your needs and can be heated if you desire. Head and legroom is generous even with a sloping roof but although the back seat is made for the shoulder widths of three adults you wouldn't want to subject them to too long a trip. There are plenty of storage options and the boot though shallower than a sedan of this size is about right for this class. The CC's 3.6-litre V6 FSI engine seems perfectly paired with Volkswagen's six-speed dual-clutch transmission, so much so that this car is a real joy to drive. 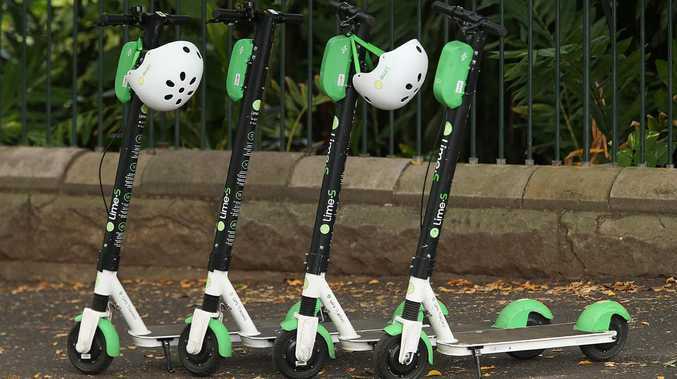 It sits flat responding instantly to every command, powering up hills and expertly negotiating inner city traffic with its all-wheel drive system providing excellent traction on slippery surfaces. Feel free to introduce yourself to the accelerator or swing the CC into a tight corner - it simply loves the thrill. Improved cabin insulation makes for a quiet drive and it will happily go where you guide it without any fuss. The 125TDI diesel shares much of the petrol's dynamics apart from being a tad sluggish at times but priced at $10,000 less it does offer remarkable value. You will pay close to top dollar for the CC so you would expect an extensive inclusions list and Volkswagen doesn't disappoint. Standard features list among others leather upholstery, keyless entry, rain-sensing wipers, dusk-sensing bi-xenon headlights, dual-zone air conditioning, sat nav package, a rear-view camera, parking sensors and VW's driver fatigue detection system. In terms of safety you can count on eight airbags, anti-skid brakes with electronic assistants and stability control. Our test car was also fitted with an optional safety assistant package ($3300) which includes side and lane assist which alerts the driver to cars in blind spots and also intervenes if the CC is leaving its lane unintentionally. Adaptive cruise control and front assist and city emergency brake function which warns of a frontal collision and applies brakes in an emergency situation is also part of the package. 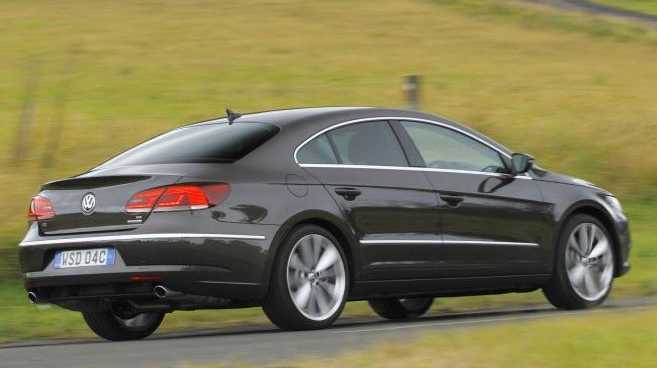 It is almost as if the Volkswagen CC is straddling a class with the only real competition coming from cars a rung above like the BMW 328i (from $64,900), the Volvo S60 T6 AWD (from $65,490) and Peugeot 508 GT (from $52,990). The CC is an excellent option both for older couples who may have trouble negotiating the confines of two-door specials but still like the excitement they bring as well as growing families who want a bit more class than a run-of-the-mill sedan. We did find the lane assist could be a tad trigger happy but other little features like a boot that requires just a tap underneath to open make up for little inconveniences. With figures close to 10 litres/100km mark the V6 petrol is a great deal thirstier than its diesel brother (5.6 litres/100km) so the latter may be the choice if bowser behaviour is the key consideration. The CC retains the Passat nose but has a decidedly smoother, sleeker look about it helped much in part by a sloping roofline and frameless doors. The lines are uninterrupted with the reverse camera hidden in the VW badge so as not to intrude on the illusion. This is a car that will attract attention but not in that blaring, in-your-face fashion. Although the changes have been minimal VW has done just enough to the CC to freshen it up and strengthen its movement in a fluctuating market. Its ability to appeal to more than one sector of the population is a huge bonus as is its relaxed style and exceptional on-road performance. The good stuff: Attractive lines, standard features. What we'd like to see: Some more internal bling to match the outside. Warranty: All new Volkswagens come with a three-year unlimited kilometre warranty. You can also download VW's new smart companion app with parking place reminder and timer, roadside assistance, accident report, Volkswagen dealer search, translator, symbol dictionary, and the latest tips for services, genuine parts and accessories. Details: Four-door all-wheel drive coupe. Engine: 3.6-litre V6 FSI petrol engine generating maximum power of 220kW @ 6600rpm and peak torque of 350Nm @ 2400-5300rpm. Consumption: 9.7 litres/100km (combined average).